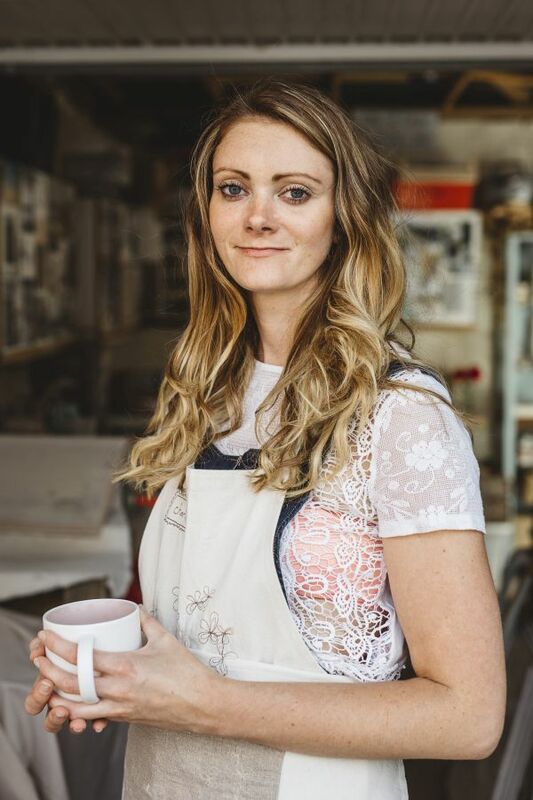 Charlotte is a British ceramic designer/maker based in the heart of Northamptonshire, UK, creating individually handmade one-off ceramic pieces from her studio at home. She enjoys working on commissions, as well as designing new collections. Charlotte has always loved art and being creative. 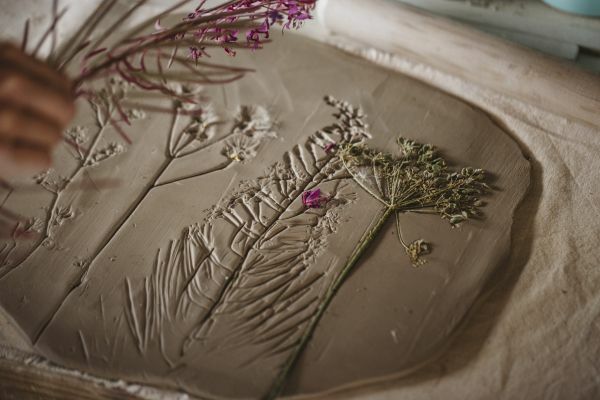 Her journey began when she found herself fascinated with the qualities of clay as a material many years ago. 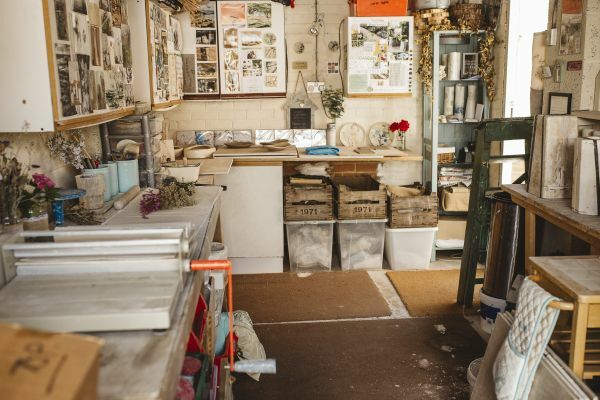 Graduating from Coventry University in 2008 with a BA Hons degree in Surface Decoration, Charlotte used this time to explore and specialise in ceramics and has been continuing to develop and broaden her work from her home studio ever since. She enjoys using a mixture of traditional making techniques including hand building and slip casting, giving variation to her work. The signature element of incorporating glass into her work gives pieces another dimension and extra colour. Customers at fairs are always ‘wowed’ by the effect of the melted glass, and want to touch it. Enjoying any challenge, Charlotte loves to create special bespoke pieces and welcomes your ideas for commissions. Any type of personalisation can be added to a custom ordered piece, whether it be names, a date, a quote, or a specific design. This is an ideal opportunity to design a completely unique piece that nobody else will own, and personalised pieces make really lovely gifts. Charlotte is inspired by everything natural and organic – especially close up surfaces such as tree bark, rocks, and plants. 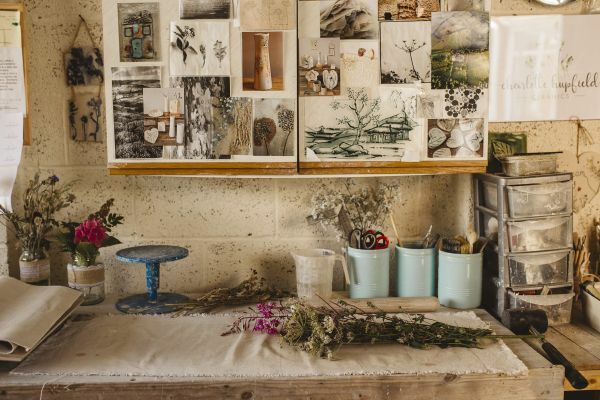 Charlotte’s work space started off in a very cold, small garden shed. She now enjoys the luxuries of a studio in her garden with actual brick walls, where she is kept cosy from the warmth of her kiln in winter, and has the doors open during the summer. The larger space enables Charlotte to work a lot easier, and gives her the room to fulfill orders.